What are Soft’n Slo Squishies™ Designerz? They’re the innovative, hot new addition to the Soft’n Slo Squishies™ collection! These premium squishys use a revolutionary printing method that set them apart from other squishys on the market. Who will like Soft’n Slo Squishies™ Designerz? Squishy fans will be eager to complete their collections with Soft’n Slo Squishies™ Designerz. Like all Soft’n Slo Squishies™, Soft’n Slo Squishies™ Designerz are satisfying to squeeze and squish. While your Soft’n Slo Squishies™ slo rizes, the patterns morphs into new optical illusions. If you love vibrant colors and eye-catching artwork, you will love Soft’n Slo Squishies™ Designerz. Recently awarded Craze of the Year at the UK Toy Industry Awards, Soft’n Slo Squishies™ continue to be a trending, high demand collectible. When will Soft’n Slo Squishies™ Designerz be available? Michaels, Target and Walmart USA will stock Soft’n Slo Squishies™ Designerz Series 1 as soon as March 2019. But if you’re attending New York Toy Fair you might get a sneak peek. Buyers can drop by booths 2279 and 2479 for a first look at this trendy, slo rize squishy. What’s next for Soft’n Slo Squishies™ Designerz? Our product designers are already diligently working on Soft’n Slo Squishies™ Designerz Series 2 and 3! 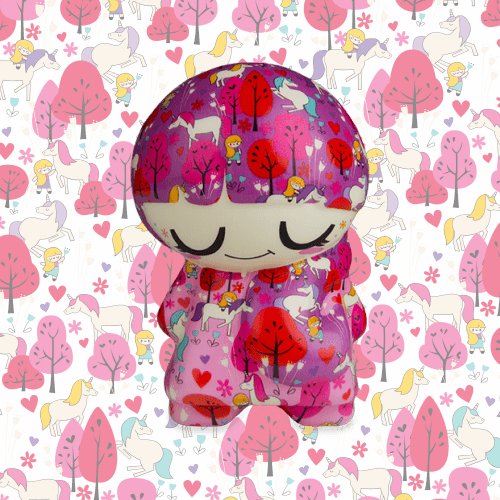 Buyers at the Hong Kong and Nuremberg toy fairs were wowed by Soft’n Slo Squishies™ Designerz’ graphic prints and cute characters. Their reactions encouraged us to expand the Soft’n Slo Squishies™ Designerz line into Series 2 and 3. 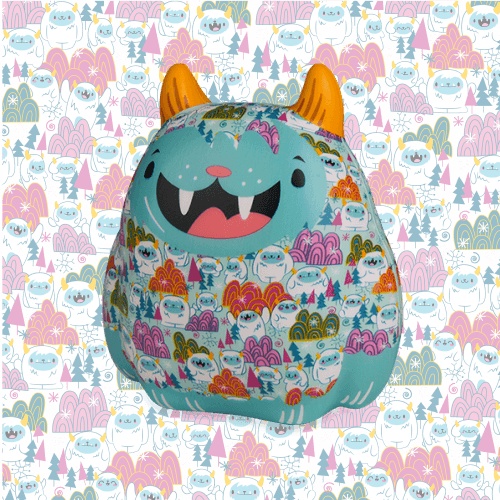 Soft’n Slo Squishies™ Designerz Series 2 and 3 are patterned squishys with a fun new twist. If you love optical illusions and puzzle games, you will love Soft’n Squishies™ Designerz Series 2 and 3. Meet your new Soft’n Slo Squishies™ Designerz friends! Soft’n Slo Squishies™ Designerz Cool Girl wants to become a fashion designer. Her cool look is inspired by autumn in a mystical forest. 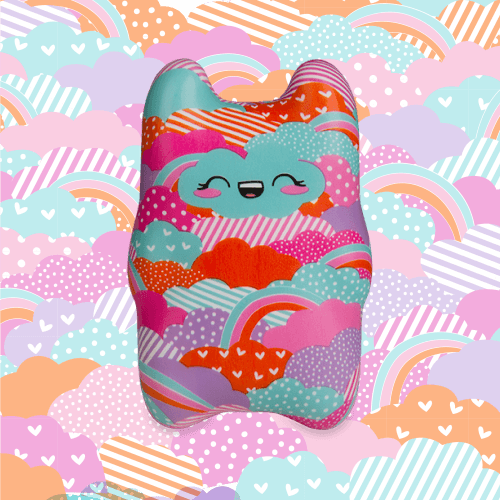 Soft’n Slo Squishies™ Designerz Ayche is an imaginative character dressed in swirls of clouds. 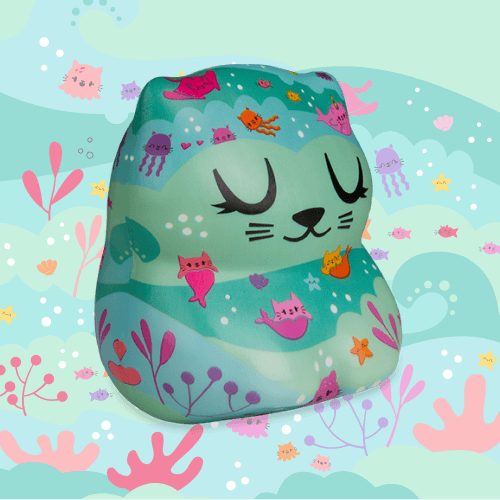 Soft’n Slo Squishies™ Designerz Meowp is a quiet kitty who dreams of becoming a mermaid. 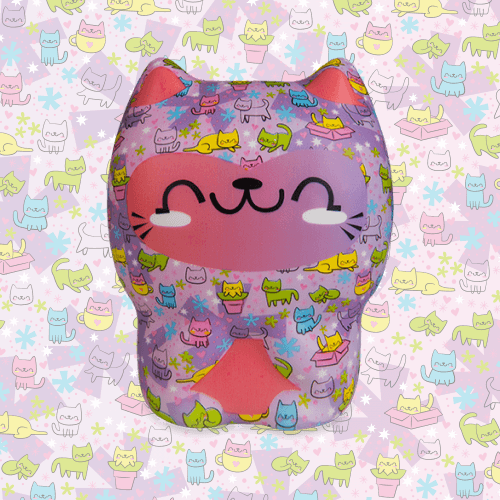 Soft’n Slo Squishies™ Designerz Uni has a bubbly personality that’s hard to contain! This unicorn is dressed to impress with a cute, grafitti-inspired pattern. Soft’n Slo Squishies™ Designerz Begg keeps a cool head even when it’s scorching hot. 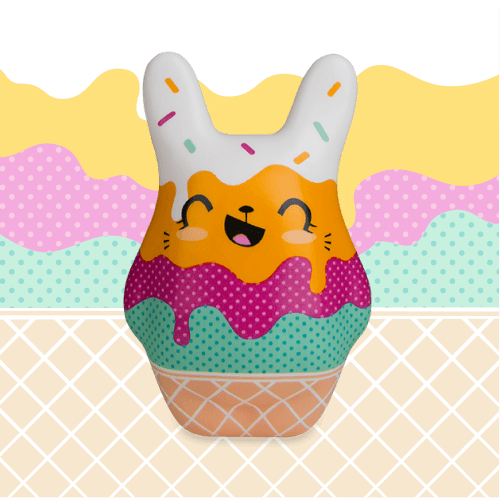 This bunny-like creature loves to show off his jazzy, ice cream-inspired designz. 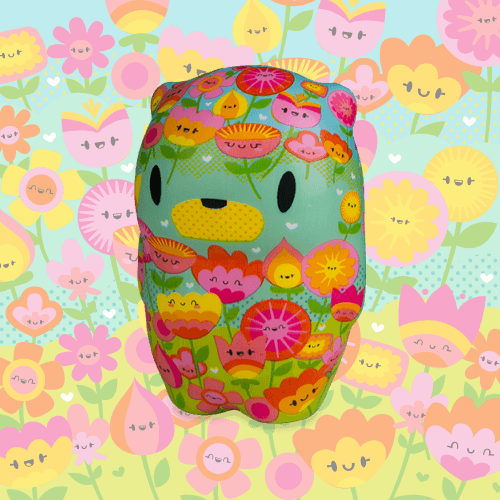 Soft’n Slo Squishies™ Designerz Snips is an adorable bear with a snazzy wardrobe. This colorful squishy is covered in a bright, floral motif. Soft’n Slo Squishies™ Designerz Pony is a whimsical pony with a celestial-inspired print. Soft’n Slo Squishies™ Designerz Cat only has eyes for you. Scoop up this super detailed kitty and give him a squish. 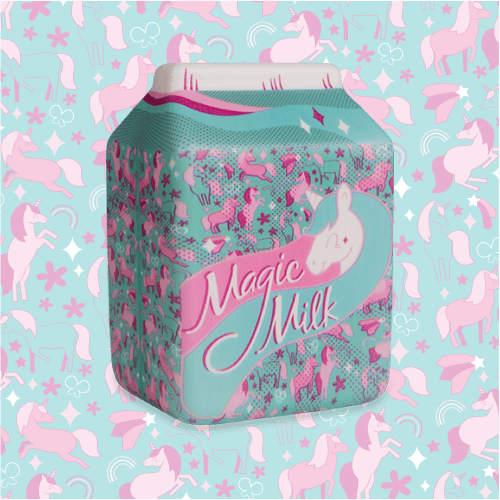 Soft’n Slo Squishies™ Designerz Magic Milk Carton is covered in vibrant colors and intricate patterns. Soft’n Slo Squishies™ Designerz Super Bunny’s bravery is legendary; keep him with you to fight away your fears. 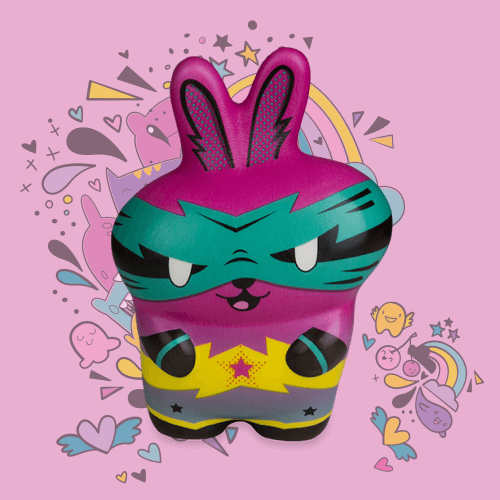 Inspired by comic books, this dynamic bunny will soon become your sidekick. Soft’n Slo Squishies™ Designerz Yeti is keeping warm in his designerz coat. Rather than being abominable, this yeti is sure to please. Stay tuned for more exciting news about Soft’n Slo Squishies™ innovative and trendy designs.